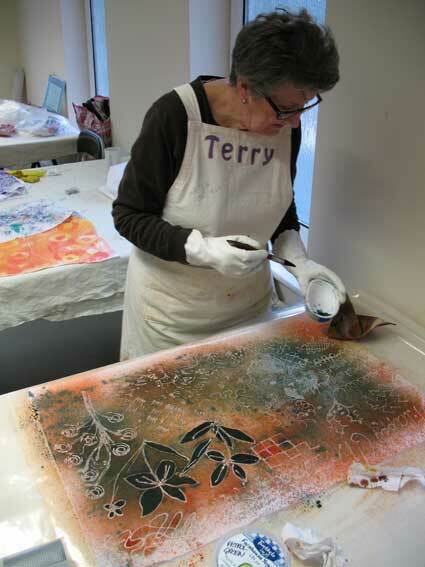 the variety of marks and processes that textile printing can produce. And they are colourful! 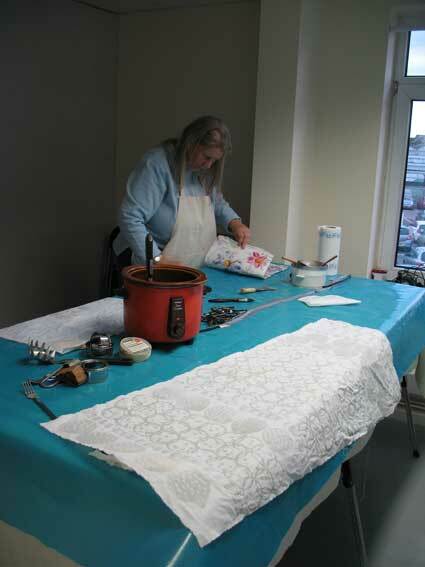 After the wax was put on the cloth was painted or sprayed to get colour on. Soy wax is ecologically more friendly that using paraffin wax and washes out so is a great way of working with wax but without some of the difficulties generated by other types of wax used for batique. 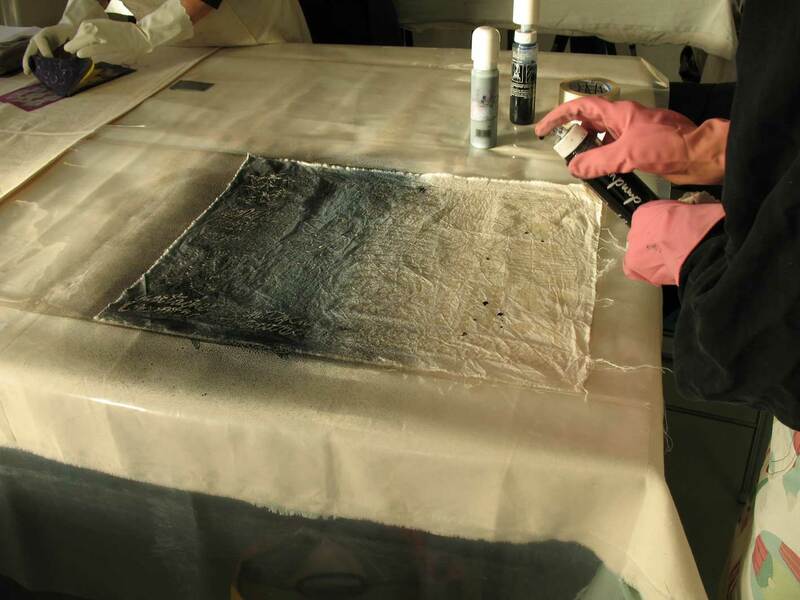 The colour change was also produced by working with discharge paste which is the safest of the types of discharge for use in the studio. 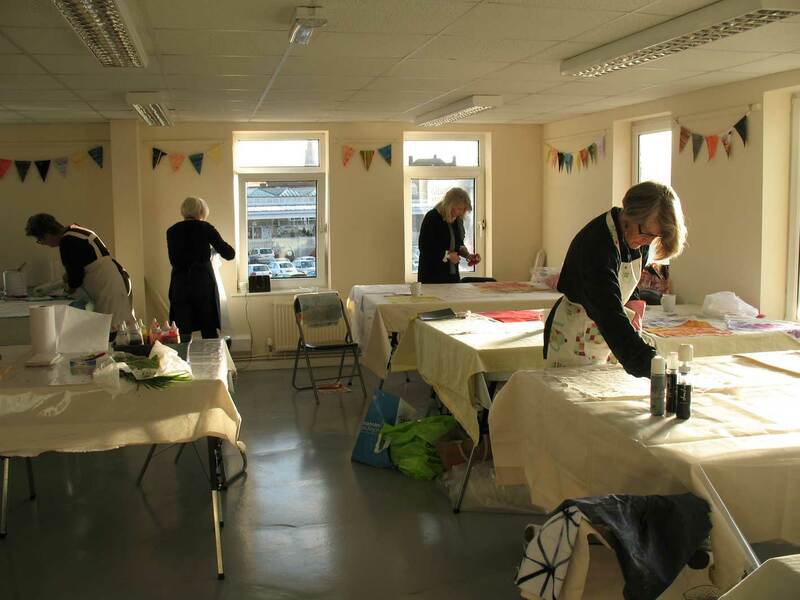 After the paste has dried it is ironed to remove the colour and can then be overdyed to remove the occasionally horrid yellow or peachy colour that is produced by the discharge process. 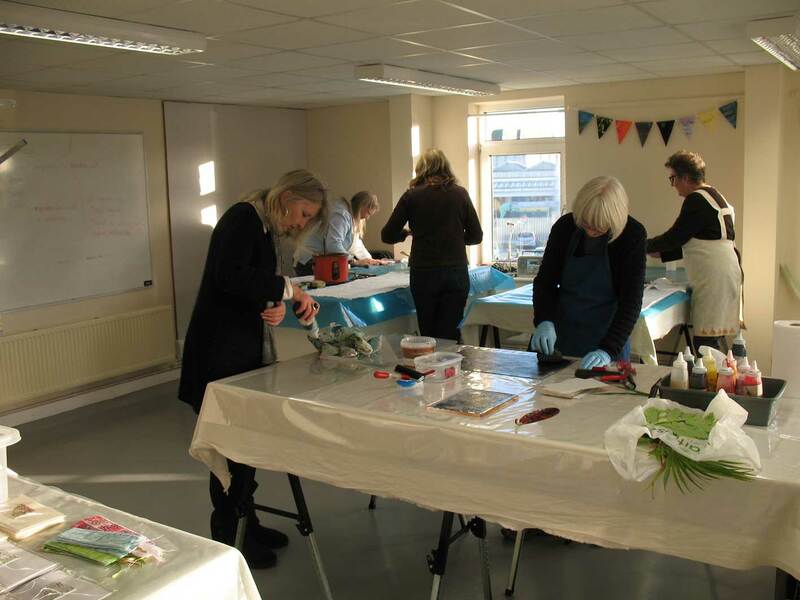 And if the students got bored…there was always the monoprint table to work on!